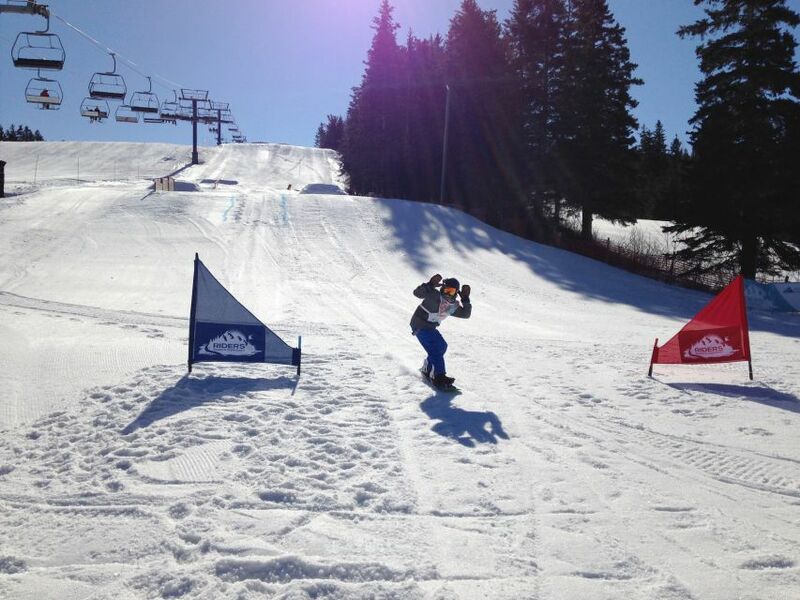 The Canada Snowboard RIDERS Program is a confidence-building and skills-oriented introduction for young athletes to the sport of competitive snowboarding. The focus of the eight to twelve week program is on developing the fundamentals required to excel in the sport's multiple disciplines. "This is such a great program for young snowboarders to learn how to ride, to understand the basics of riding and have fun while doing it. There are so many opportunities for young riders to grow within the sport, and hopefully down the road, make it to the top of the Olympic podium." Standing in the start gate, her heart raced as she focused on the course before her. This is was her big moment on the world’s sporting stage, but she felt a calm confidence, knowing that what she was about to do she had already done a thousand times before. Sure, the bright blue lines that marked the course were leading to bigger features, and yes, the slope of the hill was steeper than before, but she could still feel the connection to where it had all begun; a reminder of that time over a decade ago when she first stood at the start gate of a RIDERS event, gazing intently onto the course below. She remembered that first time so clearly: the sound of cheers of encouragement from her new friends, coaches and parents as she prepared to show them all the new skills she had learned, the feeling of excitement as she pointed her snowboard down the hill and the sense of accomplishment when she crossed the finish line. In the years that followed that first day, she had repeated the process over and over, at snowboard club competitions, at Provincial Series events, at the Canada Winter Games, and at Canada Snowboard Nationals, mastering those same skills that she had learned in the RIDERS program. Those early lessons had served her well and had fostered her love for competitive snowboarding. And now, after all her hard work, she was ready to become a champion. The story above reflects our vision of what the RIDERS program can come to represent in the athletic journey of a young snowboarder. The program is thoughtfully designed to serve as an initiation for girls and boys to the world of competitive snowboarding in a safe, fun and supervised environment overseen by specialized snowboard coaches. The aim of the RIDERS program is for children to experience the sense of excitement that can be found in our sport, while at the same time empowering them with skills and a sense of confidence that they can continue to build on throughout their athletic journeys. The RIDERS Program is an important pillar in Stage 3 of Canada Snowboard's Long Term Athlete Development plan. The RIDERS program is divided into three levels: Green, Blue and Black. The RIDERS Green and RIDERS Blue levels are both eight to twelve week programs available through snow schools at partner resorts. There are currently over two dozen partner resorts to choose from across Canada. RIDERS Green and Riders Blue sessions are overseen by specialized coaches who are supported by Canada Snowboard. Coaching and assessments are closely tied to each participant’s individual progress, and feedback is provided to the athletes and their parents along each step of the way. The RIDERS Black level is equally an eight to twelve week program, delivered by partner snowboard clubs. Overseen by licensed coaches who have also received additional RIDERS training and support from Canada Snowboard, this phase of the program facilitates a confident transition for athletes and their parents into the snowboard community. As club members, athletes and their families will be able to make new friends and connections with like-minded people who share a passion for snowboarding. There are more than a dozen clubs to choose from across Canada that will be delivering RIDERS programming. RIDERS was developed as collaboration between the Canada Snowboard Coaching Program (CSCP) and the Canadian Association of Snowboard Instructors (CASI). As a capstone to a RIDERS program, a number of RIDERS Speed & Style events are held at locations across Canada. Event participants will have the chance to compete on a multi-discipline skills course designed to both build confidence and encourage athletes to put their developing skills into practice. All the RIDERS events will allow Para Snowboarders. 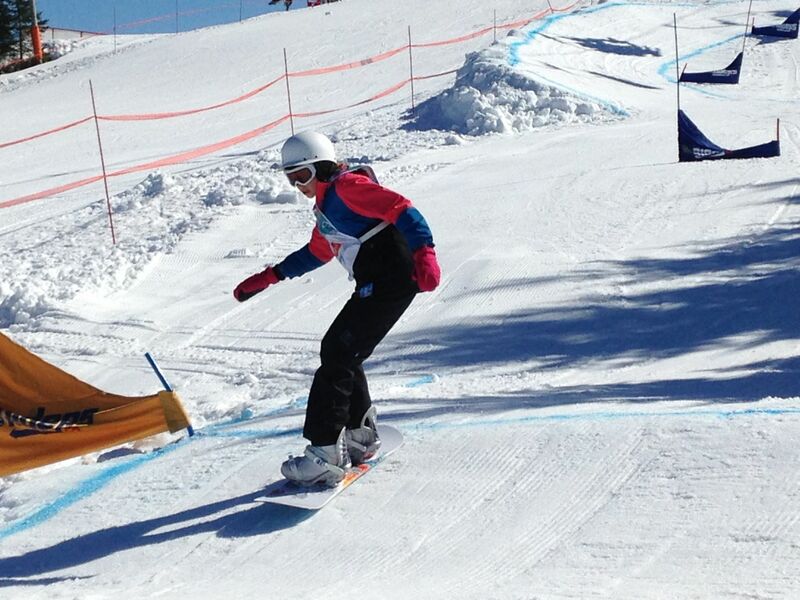 For more information about Adaptive-RIDERS events, contact Canada Snowboard at riders@canadasnowboard.ca. Upon graduation from the RIDERS Black level, athletes are encouraged to continue their progress via inter-club and inter-provincial competitive youth snowboard events. Graduates will have increased their snowboard skills at each level of the RIDERS program, and should have a distinct edge over other snowboarders of the same age without this training. Furthermore, RIDERS graduates will have been introduced to the different disciplines of snowboarding, and will be able to more readily explore the areas of the sport where they feel most capable. Would you like to learn more about this amazing program? We encourage you to reach out to Canada Snowboard at riders@canadasnowboard.ca or contact your Provincial/Territorial Snowboard Association. The RIDERS program continues to grow across Canada and we want you to be a part of it. Learn how you can become a RIDERS Program delivery partner by contacting Canada Snowboard at riders@canadasnowboard.ca.